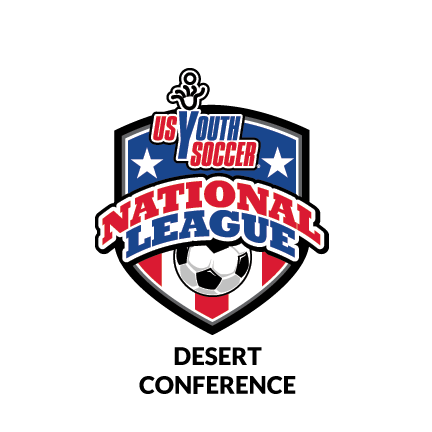 The National League Desert Confernce (formally DPL) provides an opportunity for the most competitive teams in its portion of the US Youth Soccer West Region to play each other on a scheduled basis. Each year, teams compete for a spot in the prestigious US Youth Soccer Far West Regional Championships, as well as the highly-competitive US Youth Soccer National League. The Desert Conference is open to teams from Arizona, Utah, Colorado, New Mexico, and Nevada. This document is designed to give elite clubs, and their best teams, an overview of the competitive model that the Desert Conference will use to award the wild card to the Far West Regionals. The Desert Conference will pay the entry fee for the Far West Regional Championships for all winners. Qualifying teams State Associations must approve, in writing, all applications for participation in the DPL for each season. Applications submitted by teams to participate in the DPL shall be submitted to the DPL through the State Associations. Teams may not apply directly to the DPL. Interested in playing in the Desert Conference? Email UYSA's Technical Director, Eric Landon for approval and a direct link to apply.